Senter ST230D Telephone Line Tester is used to check telephone lines for faults. Besides the basic functions as a common telephone tester, it also has functions of high voltage protection and polarity indication, and so on. Common telephone functions: Dial, Ring, Talk. High voltage protection (using the fuse). 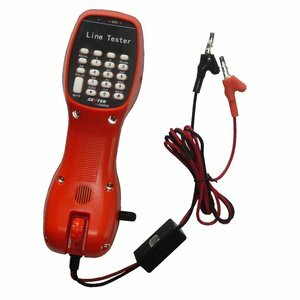 Telephone Line Tester Senter ST230D — 1 pc. RJ11 test cord — 1 pc. 0.3A fuse tube — 1 pc.